So, if you've been paying attention, you may have realized that I just fell off the face of the Earth mid-renovation. I temporarily messed up my floors. And, rather than divulge my mishaps as they were happening (Get. Real.) I instead spent a few weeks crying into Cheese's fur, planning my escape to Paraguay, and wiping pizza grease on my sweatpants uniform. Okay, I'm being dramatic. Kinda. There are far worse things in the world than messing up your floors. I've lived through a few of them. However, I'm still a human, I occasionally lose perspective, and I definitely spent a few days drenching poor little Cheese's fur with my tears. I was determined to have dark floors in our house. I wanted them so bad. I looked at picture after picture of houses with dark floors, and I just knew that our house was meant to have dark floors. And then our flooring was installed. 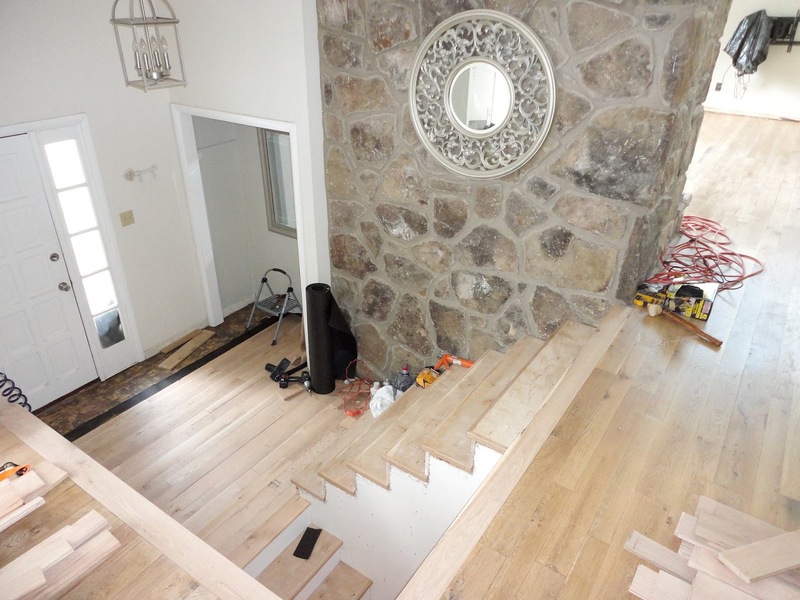 And since we used solid hardwood vs engineered hardwood, it was fully installed as unfinished wood (without the stain applied yet), and I had a chance to see what our house would look like with natural floors. It really made our 1970's house look light and bright and beautiful. But, then self-doubt and insecurity raced in and ate me alive. I felt like I should do what everyone else does, rather than do what works best for me, and it felt scary to go against the norm. Plus, my original vision was dark floors, and it was so hard to change course mid-race. In short, I could see with my own eyes that the light flooring looked really great in our house, and yet I ignored myself. 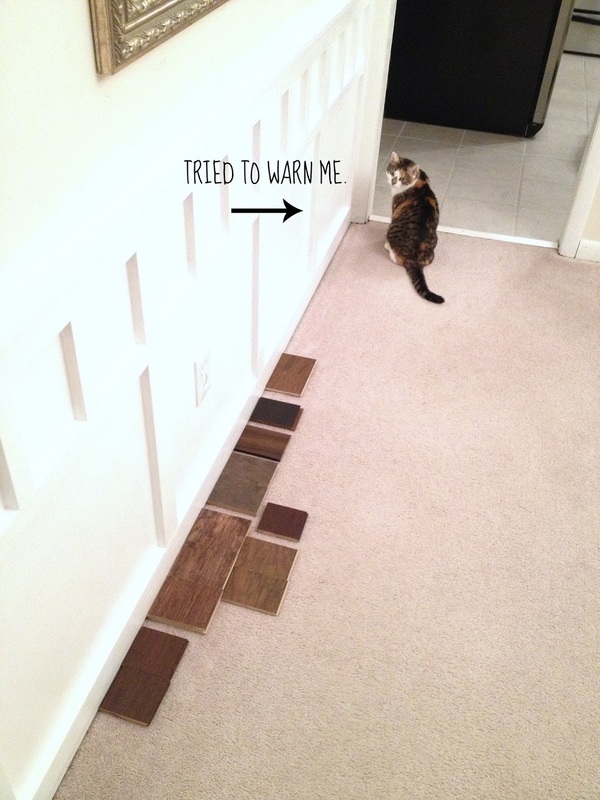 So, anyways, I pushed forward with my irrationally dark flooring plan. I eventually settled on a dark brown stain called 'Kona'. In hindsight, I can totally see the doom that was headed my way. But, at the time, I was totally lost in the moment, dirty dancing on Kona's leg. 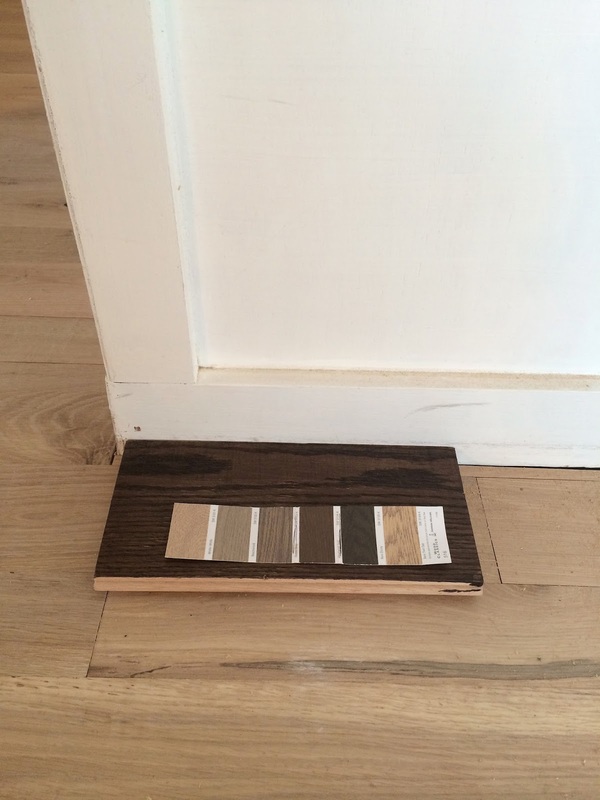 It looked so great when we tested the stain on a small piece of our flooring. I moved it around into each of the rooms and stared at it for several days while the flooring was finished being installed. Again, in hindsight, this was a terrible way to make a decision. A tiny poptart of dark wood does not give you an accurate indication of what your ENTIRE house will look like with wall to wall dark floors. But, ultimately, I gave the go ahead for the stain, and when I came home that day, here's what our floors looked like. It wasn't the worst thing ever. But it definitely wasn't good. And it was just so gloomy. I had inadvertently created a 1970's dungeon. The stain turned out kinda orange (which still baffles me), and it didn't take well to the solid hardwood at all. It ended up being blotchy and uneven, and basically, I hated it. When this all started, I had no idea about the differences between solid and engineered flooring, but I definitely do now. 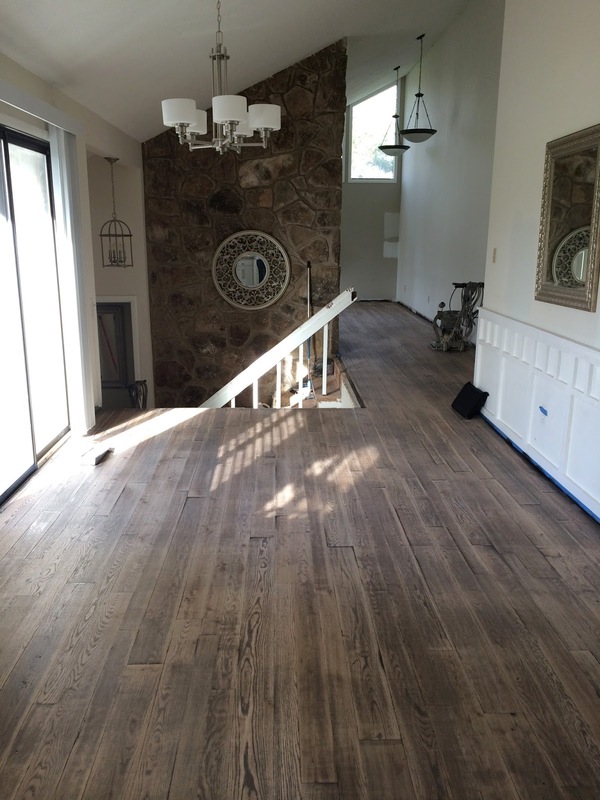 In a nutshell, solid hardwood flooring is higher quality, but it's really difficult to get that uniform color that you would get with really dark engineered flooring, because you have to stain most solid hardwood flooring on site. You can buy already stained solid hardwood floors, but that was not in my little budget. 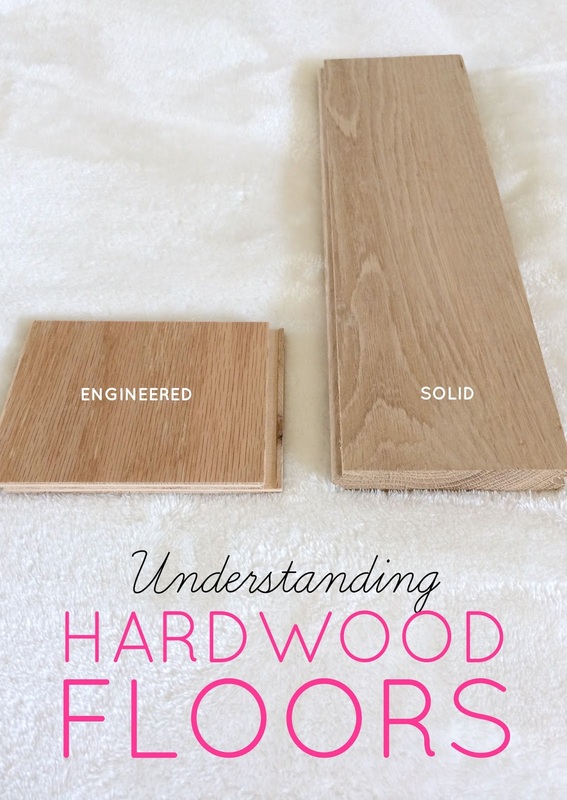 There's about a million more things you should know about solid vs. engineering hardwoods (and about a million more options) but my plan is to share that info in another post. Otherwise this post will take you 42 years to read. So, even though the stain looked terrible, there was a bit of a silver lining in the stain debacle...I was able to see once and for all that our house looked bad with dark floors. Because even if they had been a lighter brown, or even just a uniform color, it wouldn't have mattered. I love dark hardwood floors, but not in our house. So don't get mad at me if you have dark floors. Clearly, I wanted a set of my own. It was around this time that Cheese's fur got soaked with eyeball secretions. Could I have phrased that any worse? I had no idea what on earth I was going to do. Do I apply for Paraguayan citizenship? Do I buy 800 rugs, admit defeat, and just pretend like none of this ever happened? None of those options seemed viable, so instead I just moped around for a few days and eventually mustered the courage to tell our contractor that we weren't happy. Okay, fine, Jesse did it. 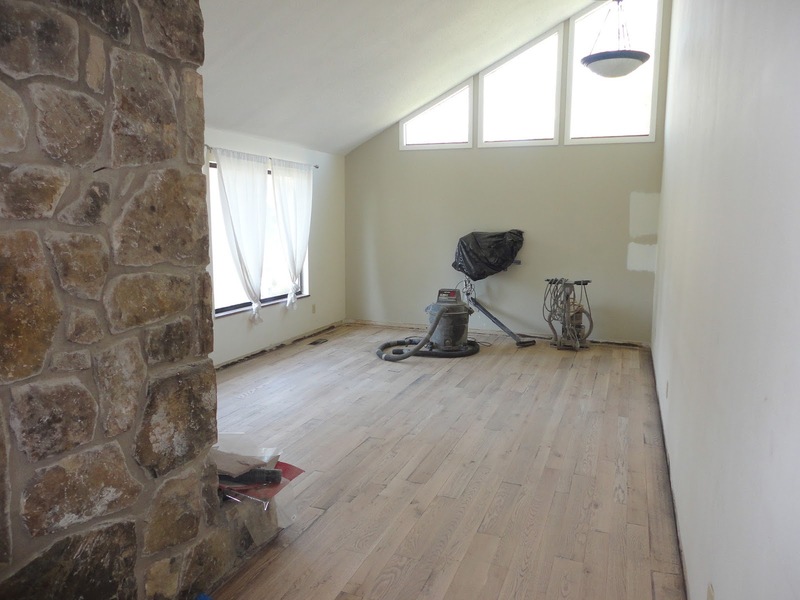 But, anyways, our contractor was wonderful about the entire thing, and he agreed to sand the floors back down to the natural wood. He didn't know I have a blog (not that that necessarily would've mattered...I'm not Beyonce). He's just a nice guy who wants to make sure his customers are happy. Of course, we were already at week 5 in the renovation, and this new phase of sanding/sealing tacked on 2 more weeks. So, the sanding began. Again. I was feeling pretty panicked at this point, and searching for yacht-sized rugs online, but I did my best to remain patient and hope for the best. After about a week, most of the stain was sanded off, I began to see the natural wood again, and I remembered how to breathe. There was still stain all over the walls (which will all be repainted and covered down at the bottom with trim anyways), and just a tiny little bit still in the wood grain, but I could definitely see a light at the end of the tunnel. Still though, we were going into week 7, and I began to feel a little meltdown-ey. My fridge and oven were outside on the front deck with a tarp over them. The washer and dryer were next to my bed. And I was still basically living at this place. At one point, I replaced my floor vents and just left the old disgusting ones on my kitchen counters for a week. Full of bugs and dust circa 1975. Luckily, right around the same time as my meltdown, we had plans to get out of town for a week. 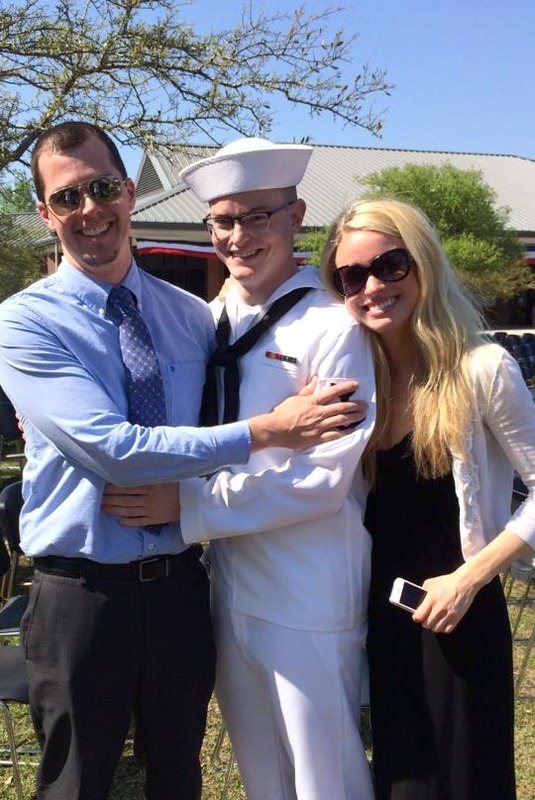 We drove to Charleston to watch my little brother, Mathias, graduate from the Navy Nuclear Power School, where he's studying to become a Nuclear Engineer. I'm so proud of him, he's my favorite creature on the earth, 10 years younger than me, and it basically healed my soul to spend a little time with him. I know he's just some random dude in a dapper sailor suit to you, but trust me, to know Mathias is to love Mathias. I have yet to find the exception. Jesse almost loves him even more than me, which is demonstrated by the above picture. They intentionally posed that way, and even barked at me to get out of the picture so that they could capture this celebratory day with a prom photo. When that was over, Jesse and I headed to Myrtle Beach so that he could attend a work convention. 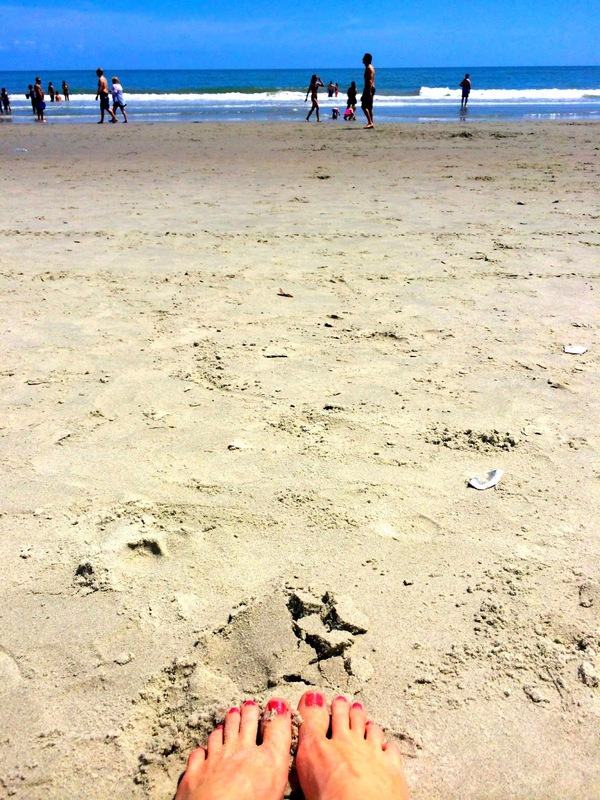 He worked, I slothed on the beach. Then on the last day, Mathias and Meredith (his girlfriend that I also love) drove down from Charleston and Myrtled it up with us for the evening. They all ate oysters. I did not. Just so you know, I will eat anything. Unless it resembles a loogie. I just got really sidetracked on a brother/beach tangent. So sorry. Anyways, I came back with a new zest for life, which is good, because I was really fading fast. 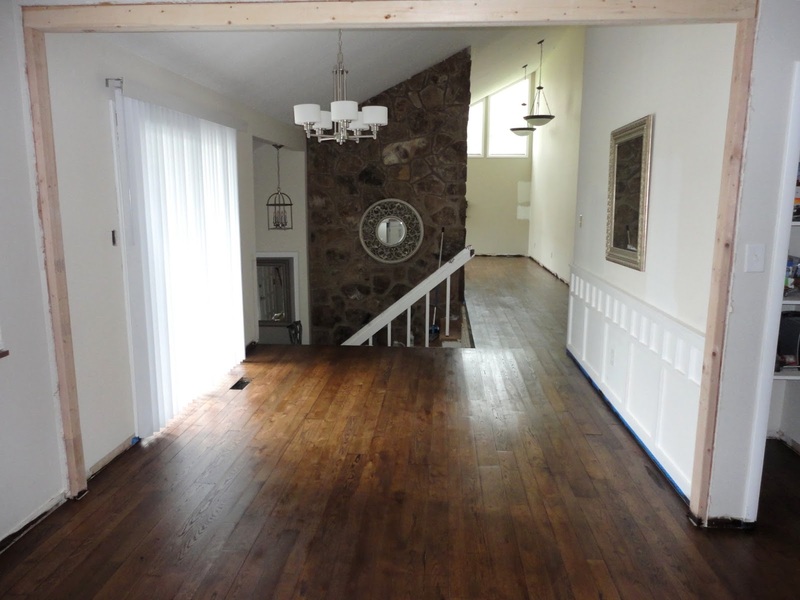 By the time we came home, our floors had been sealed with several layers of satin topcoat, and were finally finished (at least on the main level). I jumped up and down for a full 42 minutes. And, luckily I captured the miracle when we first got home. Because the very next day, it was filled back up with stuff for the entryway. And it kinda still looks like this. But the good news is that I finally have floors that I love, and we finally have lift off in the entryway pit. It only took 8 little weeks to get to this point. We're going to laugh about that one day. I laughed a little bit while writing that sentence. I have a lot more to share about the entryway, and the stair rail is being built today, but we'll talk about all of that soon. And I might actually have my house back this weekend. Before we go, I don't have any slightly nauseating life lessons to share with you. But, I will throw in a picture of Cheese, who refuses to look me in the eyes lately. Who can blame her. Just a few more days, girl. And then you can Risky Business yourself all over the house. I'll even get you 4 little white socks. UPDATE: This story was FAR from over. We ended up having to redo these floors entirely. Only a year later. You can read why here. Oh what a bummer that it took so long to get there. Glad you found a color you love. My house was built in 1978, so sometimes finding stuff that will work in my home that my not be my first choice. 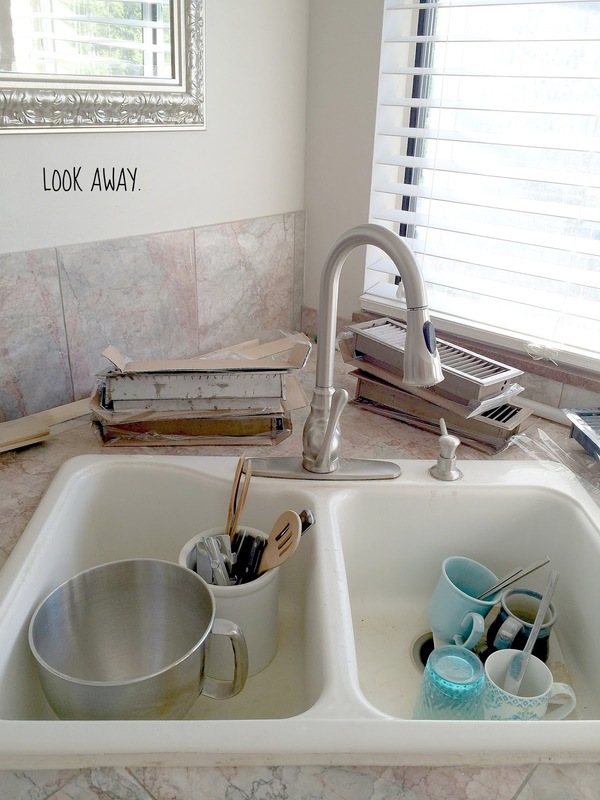 It's really about what finding what works best with your home. That is crazy. I also love dark floors and thought it would have been awesome. But I think the dark color made the house dated. Good choice on having them redone. I would have been balling right along with you. Congratulations to you brother. As a Nuclear Engineer he will probably get stationed at the base near me in Groton, CT. I think we are one of the largest Nuclear Sub Bases in the US. Oh Virginia, how frustrating! I'm with you - I love the dark wood (and had I commented I would have encouraged you to stick with the plan), but seeing is believing. Light is the way to go. 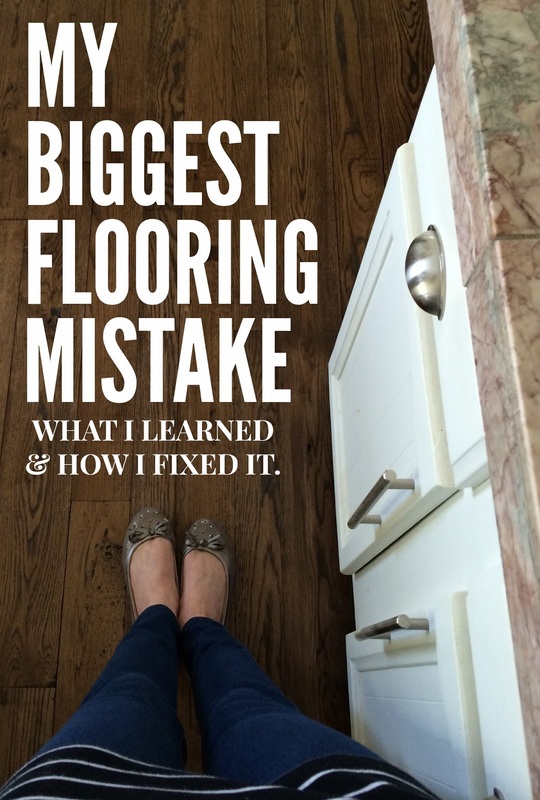 It actually makes me feel a little better about the light laminate floors in our house that I don't love but I'm too cheap (ahem, frugal) to change. How frustrating! 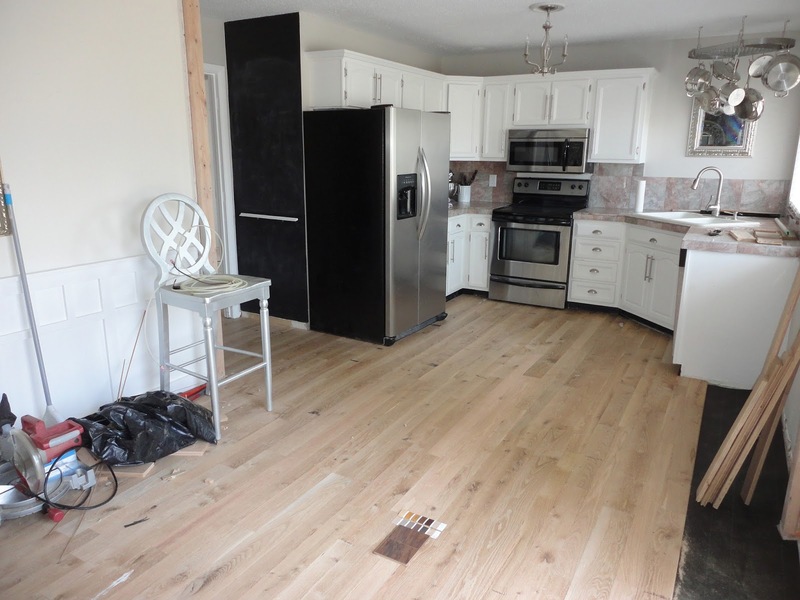 Solid hardwood flooring can come pre-stained, though. There's a wider spectrum than engineered vs. unstained solid wood. Both of my homes have had solid hardwood, one came pre-finished with a clear coat, the other stained a medium walnut. Without this kind of on-site staining process you could, theoretically, buy a box and just dry fit it to get a feel for it. I can't imagine how messy it was to sand and start over, but they look great now! I loved this!! I can relate to the feeling of being torn between seeing a plan through to the end vs being brave enough to change something in the middle of a project because I think it will look better than what I'd originally envisioned. Usually when I keep going ahead with the original plan even if I'm feeling torn in another direction, I end up disappointed. I'll keep your floor story in mind next time and remind myself to trust my instincts in the moment! Oh and the way you told your story was hilarious- I love the way you write! 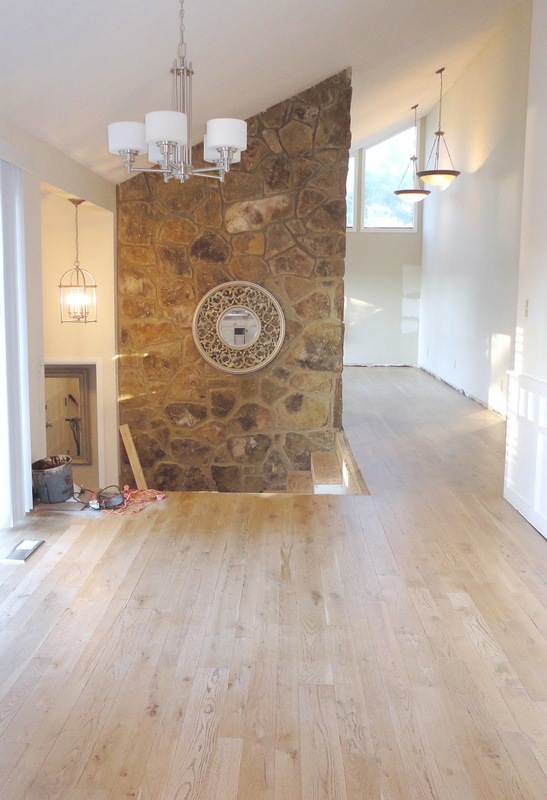 I'm enjoying following your remodel; can't wait to see more! Thank you SO much, Brooke. Your comment truly made me happy. Oh my goodness, floors are always a trial. I love your lighter floors. They are perfect and they look amazing in your home. Great post. I LOVE dark wood floors so I was skeptical light could ever look better and you 100% proved me wrong. The light looks so much better. The dark really was dungeon-y! It's a bummer it took so long but to have it done right is worth the wait! Please excuse me while I weep over my laminate wood floors that were the worst idea ever! I really love the look of dark hardwood floors but I admire your decision to stick to what feels right to you and not just go with what's popular. I'm not sure I would have been brave enough to make the same choice but it totally works in your house! It looks so much better than the dark did! I'm so glad I read this before tackling our own floors. Thanks for posting your experience! Your floors look beautiful! You've inspired me to think twice about dark wood. Our small 1940 house orange-tan floors that I really don't love. I've always planned to do them in a dark stain (Kona was actually one of my options! ), but I think it could make our small house look even smaller. Thanks for sharing your journey! I feel your pain. 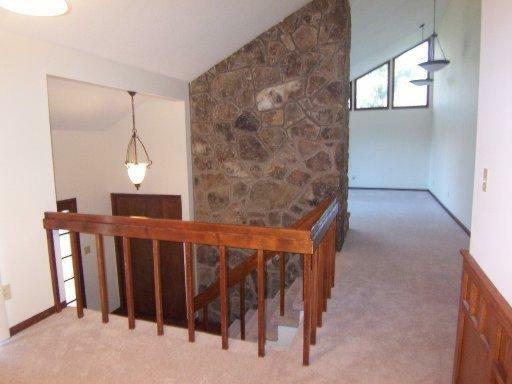 We have a 1969 house (just missed the 70s) and it has dark wood floors. You were so right to go back to the light floors they look great! I was thinking about having our floors sanded down, you inspired me to give it a shot. My only thing is I can't imagine what a mess it would make and I would have to convince my hubby it's worth the inconvenience. Love your blog! I have been going back and forth between light vs dark hardwoods and I think you may have just convinced me! Every time I see my sisters dark, dark, so-dark-its-almost-black hardwoods it looks so gorgeous I decide to do that. 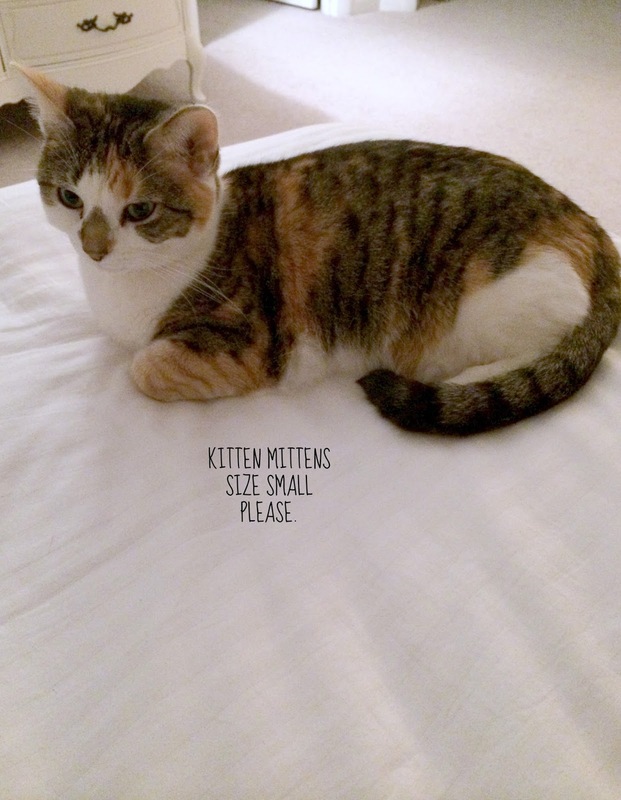 But then I have this fear it will "shrink" the room. This was very helpful. Glad it worked out for you in the end!!! Im sorry for all the hard work but in the end it's always better to sacrifice a few days (or months) to get what you want. After all, you have to love your home. And even though it was tragic in your eyes, i have to say I loved reading about your trials and tribulations. You are freaking hilarious!!! I laughed hysterically more than once. Keep up the blog and the laughter. Thank youuuuu! And I so agree. That's what I kept trying to tell myself during the extra two weeks when I was a meltdowney mess. Be gentle with yourself - you're only human. I really enjoy your blogs and the creative and inspiring ideas you share. Thank you for sharing your lessons learned. Appreciate it! 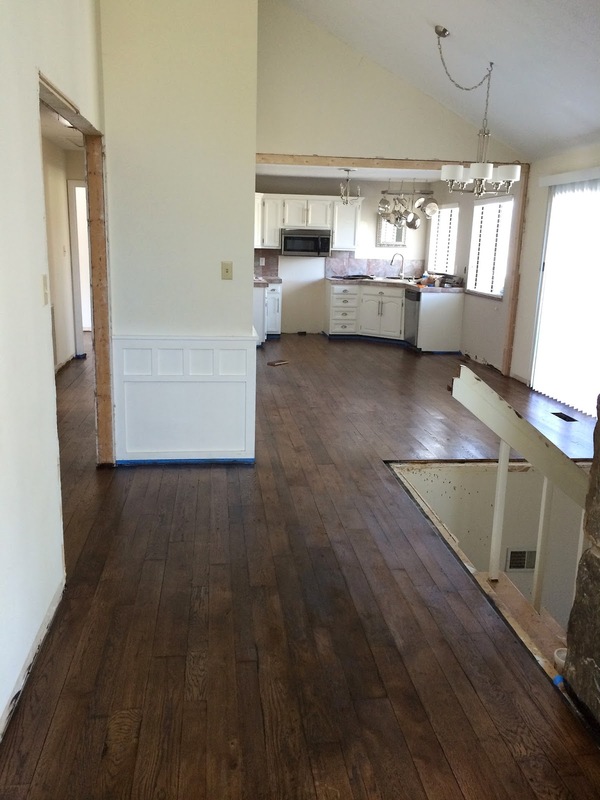 Your home is looking beautiful - love the floors. 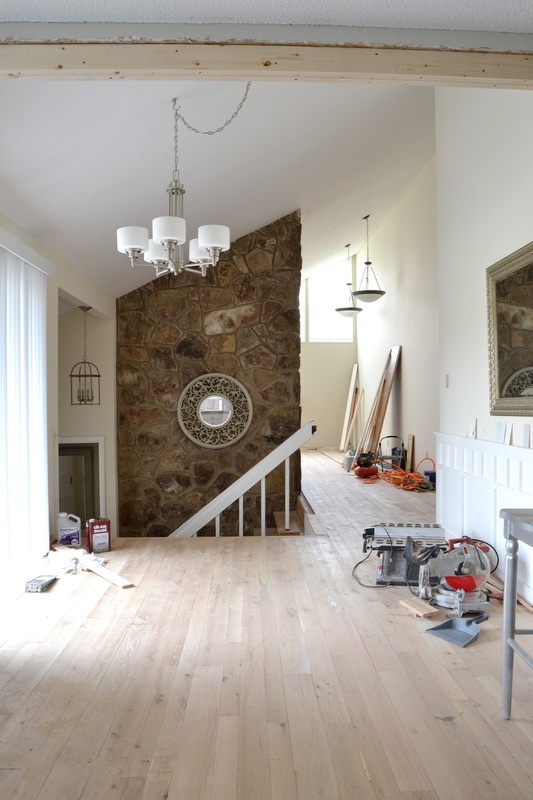 Keep on keepin -the worst of your remodeling trials will soon be over! Thanks Sandee! Oh, how I yearn for the day! I have always thought dark floors are the way to go no matter what. Mind blown!! The lighter looks so much lighter and fresher. High five to you (or your husband!) for having the guts to ask them to sand all of that off. I might have died of embarrassment. But you had to live with it, and your contractor sounds great. Loved laughing at all of your wordage as usual. Thanks!! The house looks beautiful, Virginia! Great decision on the lighter floors. They are gorgeous! We've had dark floor struggles before and they ended up being a nightmare. I too thought they were beautiful and had to have them. What I failed to realize is that they don't stay so dark and clean all the time when you have a husky in the house. It should have been a no-brainer, but you live and you learn. I have much lighter floors now and it is a relief for me and my Dyson! Also, congrats on your brother's graduation! My future brother in-law just graduated from the Navy Nuclear Power School in Charleston, as well. I wonder if he and Mathias know each other? He's studying to become a Nuclear Engineer, too! I enjoy all of your posts! Looking forward to seeing what's next! No kidding!!! What a small world. I bet they do! Congrats to your future bro in law, too! And yes, I know what you mean about the dust and dirt. 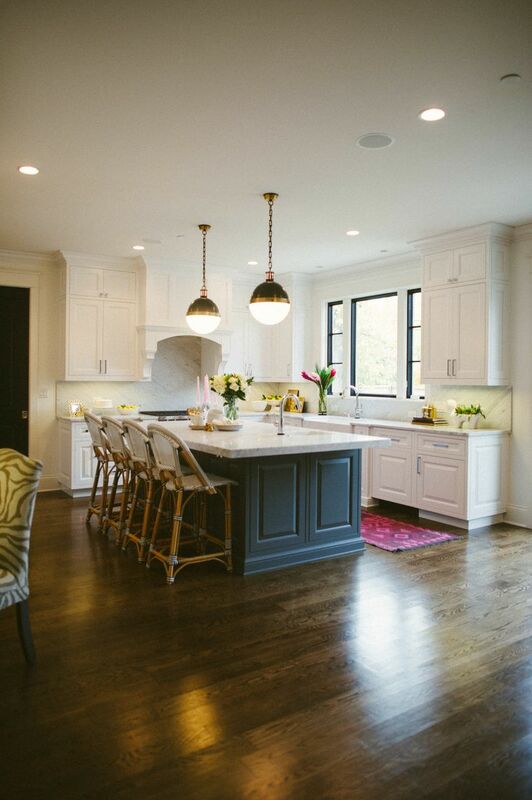 Our floors showed every little speck of dirt during their weekend long stint as dark floors. Good job owning your mistake and not being afraid to change it up. Sometimes that is hard to do, but its way better than living with something you hate! The light floors look fabulous! Thanks Brandi! Oh, I cannot waittttt! Aw, thank you. So much. You are a truly gifted woman. I love your style in every way ! Thank you for sharing it all with us ! Sooooo sweet, Diane. I have no words other than thank you. Oh you darling!! I have been waiting and waiting for this post, and I feel for you (or rather, now you are re-done lighter, I felt for you). But now it's light and blonde again it really is l o v e l y ! ! Horrible to have to go through it, but it came good at the other end. Well done, it's lovely, and I look forward to the "dressed" version. Thank you Susan! I can't wait to get to the 'dressed' version! It's going to be an entire process in itself though...onto Phase 2!! In an earlier blog post, you were debating your stain color. As I looked at the photos, I yelled, "Virginia, go to the light!" I'm glad you heard my screams! The floor looks divine! Congrats to little bro too! He's going places! Thanks love! I thought I heard something! Thank you, thank you!!! It definitely feels like a breath of fresh air! And I'm so glad to meet you, Barbara! Hi Virginia - First time "caller" here! I just had my wall to wall 30-year old (ugh!) carpet removed and engineered hardwood installed throughout my great room and kitchen. I went with my first choice -- Maple Vintage Latte (Home Depot), but like you, I had second thoughts and for a day or so, considered a dark chocolate hickory color. finally I decided to go with my first choice, and when it was done, it was the perfect choice. The maple is actually closer in stain to a pecan which is what I was going for, as I had pecan faux wood Levelors installed last year. The match is nearly perfect. I started laughing when I read your post. I know your pain, gal! It's a BIG decision -- flooring, for goodness sakes! And you don't want to mess it up! I was apprehensive too, but it looks like it worked out in our favor! Congrats! I enjoy reading you and have fallen in love with Rustoleum Universal Metallic spray paint because of you. Rock on! You're an inspiration! 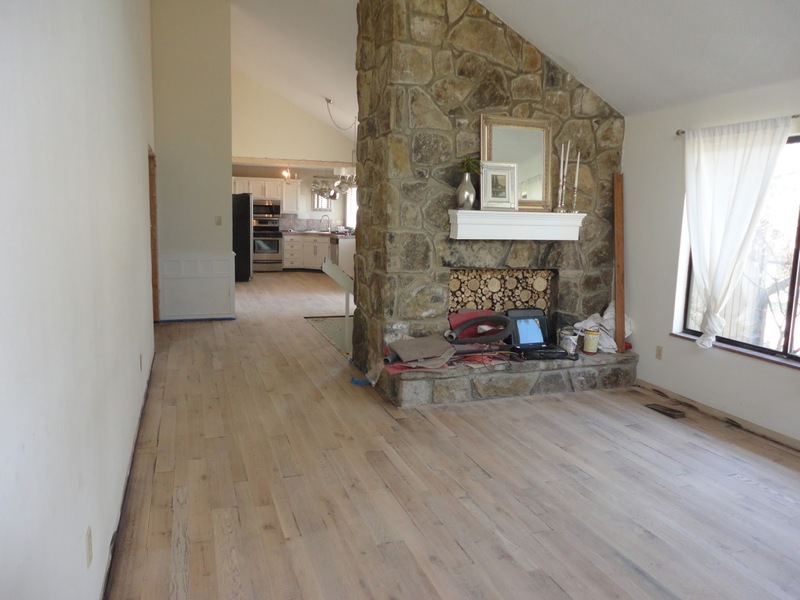 Your floors look great, I had a similar situation with a loft I renovated and decided to go against the grain and install like oak flooring and cabinets... I had to stare at it for about a month before I realized that it was indeed beautiful. :) By the way, any plans to redo the cool fireplace? I just read a quote on Pinterest that reminded me of your post. "Sometimes when things are falling apart, they are really falling into place." Thank you for being real with us! You cracked me up every time! Wow it's amazing what a difference it makes! I am so indecisive so I can definitely relate! I've taken months to pick a paint colour for my bedroom walls and this has really put things in perspective - if I don't like it at least its a pretty easy fix. Yes, especially with paint! I've repainted nearly every room at least twice! ha! SC native writing in to say "Myrtled it up" is my new favorite phrase. Some things, you can say "oops" and live with until you replace it again in 10 years. Flooring (and especially SO MUCH of it!) is not one of those things. I knew staining that wood wasn't going to look as good, but I'm one of those people who likes to leave material raw, so... who knew I'd be right? Anyway, in the end, your hard work has definitely paid off, because they look absolutely gorgeous. Well done! I think this calls for a celebratory night of chocolate covered mini donuts and binge Netflixing. Hey Virginia - I didn't know whether to laugh or cry as I read your blog...you are, what we call downunder - "a real trick" - translated that means "Girl - YOU ROCK!" you are just so real...and humble enough to share the bad times as well as the good. So big ups to you for hearing your heart, eating humble pie and going back to the drawing board. You so did the right thing!!! And speaking of eating - I'm right with you on the oysters. Even if you get past the "loogie" thing - awwwww the smell....!!!!! Can't wait for your next post. Yours from the upside down place. Kiwi Ros. Oh Virginia! I <3 you! (Can I say that?) Well, I did. And it’s true! Your blog heals my DIY loving soul and your projects make me swoon. In part because you are a creative Do-It-Yourselfer working on a budget and sharing every trial and tribulation of young-homeownership with the world, and in part because I can SO relate! I want so badly to come over and bring you a bottle of wine, look at floor stains with you and move them strategically around your house to view them in different lighting! A girl needs opinions on this sort of thing! 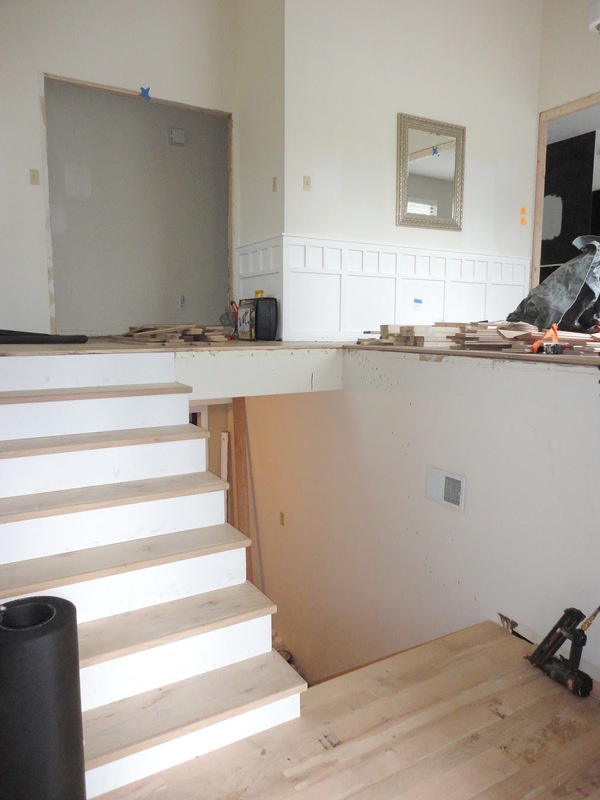 But I can’t do that (because it’s totally not practical, and would likely creep you out) so I’ll share the short & sweet version of my husband and I’s own home remodel project. It is funny now, but living in it was anything but. We bought ourselves the cutest little Cape Cod (circa 1976) in a neighborhood we were actually renting a house in. It was love at first sight. And It was a foreclosure that truly wore the battle scars of a tough existence. Beyond the bones, and the curb appeal we could envision, it left a lot to the imagination. When we moved in it had concrete floors, all the carpet and flooring had been pulled up, along with one of the toilets, it had no appliances and no water heater. The house had been abandon for almost a year and infested with rodents & pests (what were we thinking!). For the first YEAR we lived upstairs in one bedroom and had a tiny ‘living room’ set up in the other bedroom upstairs. We bough appliances but due to living in the middle of a reno, we kept them all in the garage for nearly a year! Five years later – all is (nearly) finished. The over grown hedges have been replaced with oh-so-cute landscaping; the drab grey paint has been repainted with a cheery yellow and complimented with black shutters, we have TWO FULLY functioning bathrooms, a complete kitchen with countertops and indoor appliance, a first floor master bedroom & first floor living room, and dark cherry stained wood floors. It was a labor of love and my husband and I came out of it unscathed, more in love than ever and super proud of our little home we made just ours. Plus we have SO many funny stories of late nights, projects gone awry, WAY TOO MANY trips to Lowe’s, tears of frustration and sub-par living conditions from our first few years of marriage. Wait until you can laugh about it all in the very near future! In the meantime, thank you for sharing it with us! Ok ok so I never thought I'd admit it but as much as I LOVE dark wood floors, they were totally wrong for your house. Gah, I thought for sure they'd be the absolutely perfect... and perfect they were not. :\ Two words couldn't have fit more perfectly.. DATED DUNGEON! It was like all the hard work you've put in to the house reno from day one was completely undone with those dark floors. Crazy how that works. On the other hand, I love the light natural look of the wood and how much more open it makes everything feel. I'm glad you went with natural wood floors vs eng,hard wood so that you were able to see them in that natural state BEFORE the stain otherwise just think, you would've never known you liked the light. Everything works out.. even if we are hard headed and have to find things out the hard way instead of just going with our instincts. I can't wait to see what you're doing with the railing. Update us soon, please! Congrats to your Bro! What an accomplishment! Oh, and next time, just listen to Cheese...Cheese knows best! ;) Kitten mittens and all.. :) Love this! I'm such a fan of light wood floors and always have been. They are so much easier to keep clean. I'm glad it all worked out for you in the end. Looks awesome. Ahhh I am sorry that you had to go through the mini-meltdown, but you made a GREAT decision ultimately - the floors look spectacular in the lighter shade! I love your light floors. Our home has light floors and when we bought it, I, like you, have planned to redo the floors dark. Dark, dark. I have pined and pined for them. Now that we are planning to redo the carpet areas upstairs with hardwood, I thought, ok, here is my chance to start making the transition. I love dark wood floors, but the more I looked, I'm digging the light. I'm sticking with it. I know it's not the trend, but something tells me, stick light. Glad I'm in good company. Ah! I've been obsessing over doing my floors dark. Like dark dark. Hmmm. This is making me rethink and go lighter. It's beachier and really lights up your home - looks great! I was planning to disagree with you from the get go, especially when I read you used Kona, which is my favorite stain for furniture. But in your house, I totally agree the light floors just look so fantastic! Not only do they brighten the space, they do make your home feel more modern. Good for you for getting what you want even if it was a hassle. I found you by pinning your striped bathroom wall from Pinterest. I have read your entire blog from start to finish - was fun to watch you grow and change and learn. You have a superb "blog" articulation, and I'll watch you from now on. I bet your husband loves your sense of humor - I know I do! Over the years I, too, have learned the hard way that it's always wiser to do one wall then live with it awhile...one floor and live with it awhile...drape the fabric over the chair and live with it awhile....my big life "faux pas" similar to yours was once thinking I'd love pastel colors in my living room. Enough that I sewed slipcovers, pillows, painted...all in one rushed couple of weeks - only to find out that pink and blue and yellow pastels in a room quite rapidly made me feel like I'd eaten wayyyy too much sugar. Blue and white? yes. Yellow and white? Yes. Maybe even pink and white but....maybe not. lol. But all three? No. Thank You!!! We just bought a 70's house we LOVE and I was wondering if I should "update" the floors. But I love the light look no matter what the world is showing us. Now I'll be content. Thanks! oh my goodness!!!! i so completely relate to everything you said, and exactly the way you said it! even your little side trips! you crack me up! 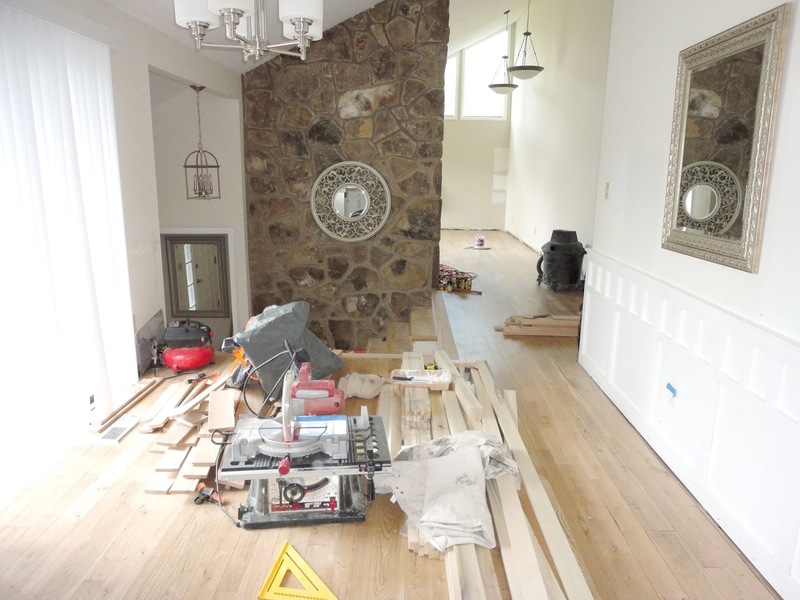 we are going to be going through a similar process very soon.. our entire second floor will have it's carpet ripped out and the floors refinished while we are in the house.. I can only imagine the mess.. and we are currently mid construction in the master bedroom.. I am living in chaos. OH MY GOSH you crack me up! We have had to replace our living room flooring THREE times due to SLAB LEAKS under our living room/entryway. I am so glad I stumbled upon your blog - a refreshing viewpoint without R-rated expletives! It makes me PINE for our Reno-licious split-entry Oregon home that I never appreciated until now. Thank you for allowing us a peak into your life, and also for the great idea for a photo shoot with my husband and brother! Happy New Year - may it be filled with SUCCESSFUL renovations! I'm feeling you. 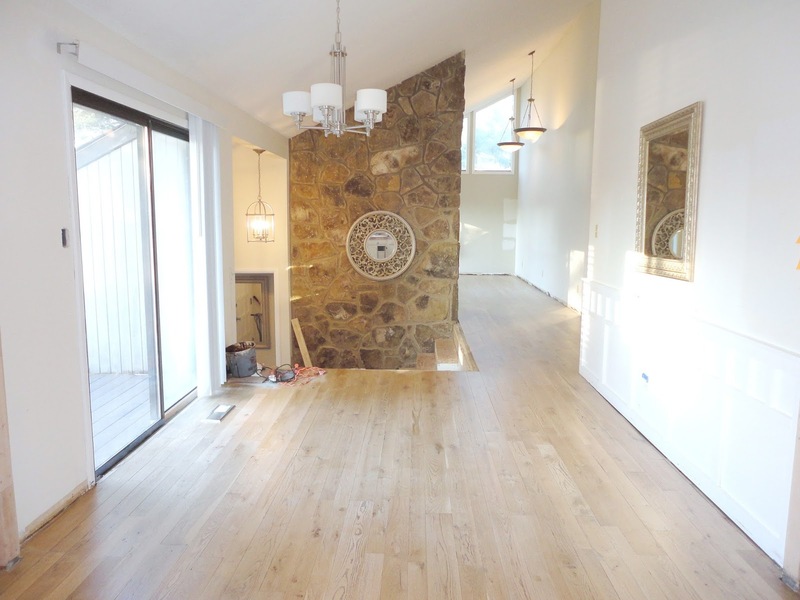 I was the exact same with this new current house: we were going to have dark hardwood floors, come hell or high water! They're 6" wide distressed American Hickory, engineered. They're beautiful...but not here. The lighting is wrong, the place looks dark. So how am I fixing this? Chalk paint. I am painting all my wood furniture light & white & bright. MUST have contrast in a space. BTW, LOVE your light floors & I will insist on those for our next house, lol!